Land your dream job with these top ten cover letter tips. By Damon Brown and Kay Peterson, Ph. D.
Before you apply for your dream job, check out these tips that will make your cover letter stand out. Tip #1: Keep it brief. Your letter should not go over one page. Use short paragraphs and bullet points whenever possible. Avoid flowery or excessive words when fewer words will get your point across equally well. Tip #2: Be assertive and proactive. Tip #3: Tailor the cover letter to the specific company. Don't write generic praise about the company. Be as specific as you can and demonstrate your knowledge of the company. Research the company using its own website, as well as business information sites such as www.hoovers.com and www.fastcompany.com. Check news sources for recent company events that you can reference in your letter. 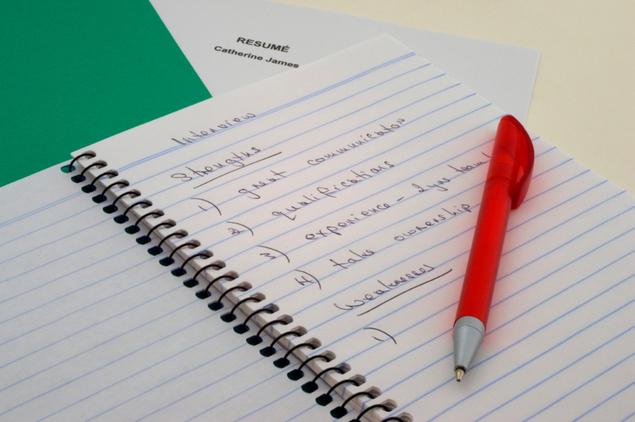 Tip #4: Revise your cover letter for each application. Different aspects of your background will fit different jobs. Focus on relevant job experiences and skills. For instance, an employer for a research position probably wouldn’t be interested in your creative writing skills. "I was president of the French club." "In my term as president of the French club, I developed valuable leadership skills as I organized a 10 person team to undertake fundraising activities." Tip #6: Address your letter to an individual rather than a department. Call the company directly to identify the proper addressee. Use formal language (Mr., Ms., Dr.) when addressing them, and never just their first name—even if you know them personally. Use high-quality white paper; it’s thicker than typewriter or printer paper. Avoid elaborate or colored stationery. Print a clean final copy to send, not a photocopy. Tip #8: Let the employer be the judge of your skills. State your skills and qualifications, but don’t tell the employer that you are the best person for the job. It can appear arrogant and presumptuous. Impress the employer with your skills, and let them conclude you are the best person for the job. Typos will land your letter in the trash. Check grammar, spelling and especially the spellings of names. Have somebody else read your letter—they can pick up on things missing from your letter. Before mailing, make sure you’ve included your resume and any other requested items. Tip #10: Follow up with a thank-you note. A thank-you note demonstrates your interest in the job and will help them keep you in mind for the position.